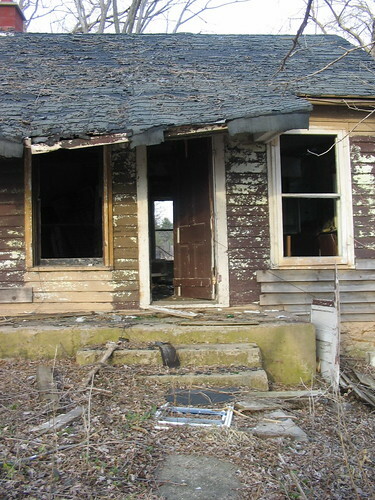 In 2007 I explored a fascinating abandoned farmhouse on the outskirts of Waupun, Wisconsin. There was a great amount of personal effects left behind: keys, a social security card, letter correspondence, checks, etcetera. How someone could leave all this behind was just baffling. Trying to figure out the riddle appealed to my senses and furthered my interest in urbex. 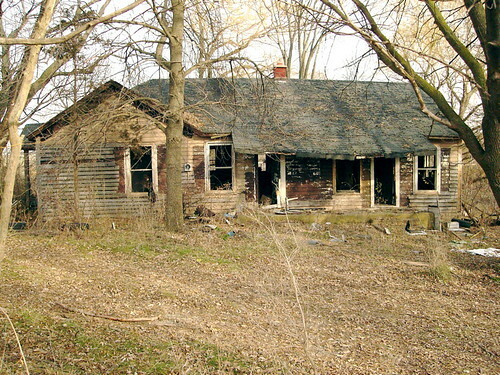 In May, 2010 I wrote about my experience at the farmhouse here on American Urbex. I even used the house as a backdrop for a few shots in a video I produced for a grad course. In the few years since first stumbling across the farmhouse I have been casually looking for the owner of the correspondence I found. The search yielded a few positive results, but nothing that would actually lead me to the person I was looking for. Imagine my surprise when this comment shows up in my moderation queue. I was floored by the response and shot out an e-mail to the commenter immediately. Within minutes I received a reply in my inbox confirming that, yes, she was the person I was looking for. 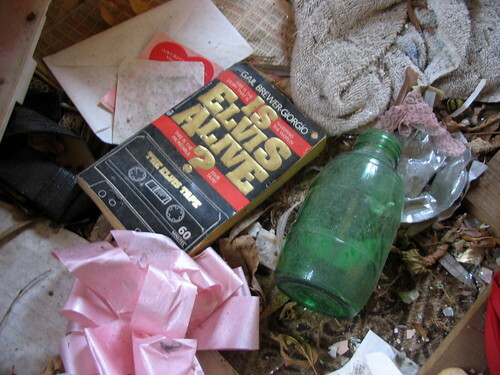 After more than two years of searching the person I was looking for found American Urbex. We exchanged phone numbers and she agreed to an interview. Joanne Appleget is married and goes by a different name these days. She is doing quite well for herself and still lives in Wisconsin. While doing a search she came across some of the photos I had tagged with her name. That led her to American Urbex and my Flickr set. Joanne confirmed that she did in fact live in the farmhouse until around 1986 when she left for college. After moving out her parents lived there for a while longer. Eventually the insurance company refused to renew policies on the home. The home was heated by two gas space heaters, which the insurance company deemed to dangerous. After Joanne’s parents moved the house was used primarily for storage. Break-ins to the unguarded home started occurring with relative frequency after the family left. The Appleget family reported the thefts to police, but little could be done after the fact. Items of value started disappearing with greater frequency with the expansion of the 151 highway. 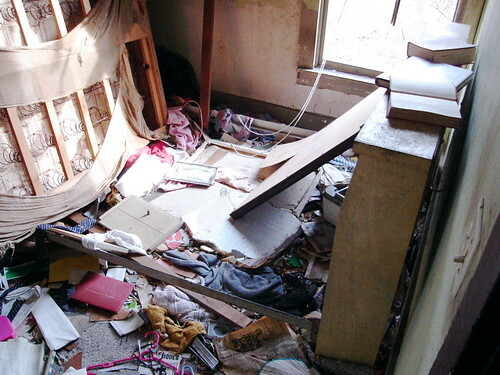 Joanne recounted how a construction crew leader was asked about the abandoned home, and said that people could help themselves to whatever was inside since the home was abandoned. Scavengers took all that they could; metal, wiring, tiles, tapestries, even the columns holding the porch roof up. I had falsely concluded after my first visit that someone in the home was diabetic due to the number of supplies I had found on my exploration of the farmhouse. Joanne confirmed that over the years the house was used by teens for parties and other people who may have brought things in. The rotting piles of junk in the house are now the property of new owners who purchased the land a year ago. New bright orange trespassing signs now adorn the outsides of the house. Doing research on urbex locations is something I thoroughly enjoy. Finding dates, times, historical factoids and melding them with compelling visual images is easy with Google. What I’ve come to realize with talking to Joanne is that there is another element that often goes unrecorded. It is the impressions of a place and the emotions that they invoke that is only palpable by talking to someone. I could tell by our conversation that the farmhouse brought back a range of emotions. I’m especially grateful that she took the time to share a bit of personal history with American Urbex. I have been to that house a couple times and it was a mystery as to why so much was left behind, I commend Joanne for contacting you and answering your questions Ken. I do recall the highway work near there, can’t recall what year though because I believe they worked on it in pieces for many years all the way to Sun Prairie. It is sad to hear the attitude of the construction people towards property that wasn’t theirs. Questions that I would have are: the barn and other farm buildings are so long gone, was it an active farm when you left? the house has an odd design for how small it is, was the back portion added on to? do you know what year it was built? The barn was used by the farmers who owned (up on the hill) until it was blown down by a tornado in the 70’s (I was about 7 or 8 at the time). The house was the original farm house for that area of land. I know it were additions added to the original house, but I’m not sure which parts were original and which were the additions. Thank you for your reply Joanne. If it’s any consolation there is a house in Waupun on the south side that was abandoned around the same time that is just as trashed and not on the highway and in a busier area. I know I’m showing up late to the party, but I’m curious as to why “valuable” things were left behind?? Every abandoned house I explore seems to contain items that I can’t imagine leaving behind, they all tell a story, I just wish I knew what the story was.